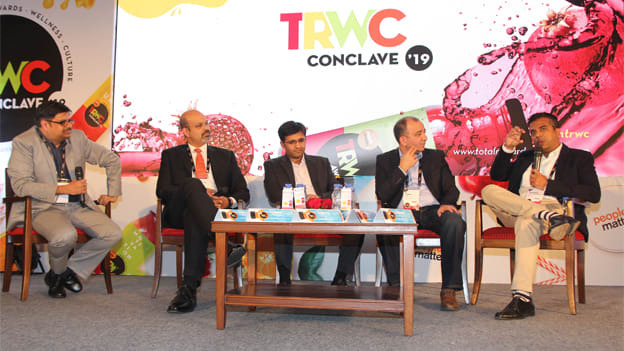 Employee engagement has evolved drastically over the years and today it’s more about individual experience where one size fits all does not work, according to a panel of HR professionals who discussed employee engagement in a session at People Matters TRWC 2019. In today’s competitive world, employee engagement is a key objective for many organizations, especially for HR professionals. However, many companies still overlook this in favor of other factors that are also equally important such as revenue generation. Here are the excerpts from the discussion. Tarun Kohli, Founder and Chief Executive Officer, Quavantis, says, from a tech company perspective, there are three things that he sees when it comes to engagement. Number one is autonomy in terms of what employees want. Second is the opportunity to gain mastery in their respective fields and the third one is aligning people’ expectations with business objectives. Kohli says, “While we do one-on-ones at times to find out what happening in employees’ mind, we make sure people are gaining mastery over their domain area. We are also building models to figure out the happiness of our employees. We analyze patterns from these models which drive us to have individual discussions with people based on the inputs. We also use predictive analytics to preempt thing in advance. For example, our predictive system can tell us if a team member is going to resign or not.” Their global engagement model collates data –such as if an employee has been appreciated recently or not, from multiple sources and predicts the happiness of employees. Amit Chincholikar, Global Human Resources Officer, Tata Global Beverages (who was the chair of the session) adds, predictive attrition model like the one Kohli talked about is an ongoing process, unlike a traditional survey. Kohli says their company also tried survey which required them to send multiple reminders for employees to fill the form. In fact, they tried chatbots which helped employees remind about taking the survey. But it all failed. So, it’s all about how do you use technology as an enabler. Talking about health and wellness part of the engagement, Krishna Ulagaratchagan, co-founder and CEO, Healthi, says, the only measure of success in the past was the level of participation in activities which never worked. “Today it’s about an ongoing discussion. For instance, we could suggest an employee, hey look, here is what we suggest based on your lifestyle. At the end of the day, healthier employees are happier and happier employees are more productive,” Krishna adds. Adding to this, Amit says, organizations today look at how healthy their employees are because this is what impact productivity. To conclude, Amit from Shell says, the one size fits all is pointless today in the context of employee engagement. The future is about managing multi-generation workforce because every employee is unique and there is no standard offering. When asked what is that one thing you want to change about employee engagement as an HR professional. Krishna says, measurement metrics while Kohli says its people experience and career advancement. Aditya is in favor of understanding every employee and leveraging technologies while Tarun says, “fulfill your employees' expectations”. Referring to an example of tea, Amit from Tata Global Beverages adds, fundamentally all kinds of tea come of same tea leaves. Black tea and green tea come from the same source. It’s about which tea and what flavor you like. So the tea that you like is unique to you as an individual. “It’s time to replicate that tea experience to our workforce,” concludes Amit.